Of the many Polish tank designs prior to 1945, those from the pen of Pawel Chrobok are perhaps some of the most unusual. Very little is known of Chrobok, save for a few patents submitted in his name while living in exile in Great Britain during WW2. 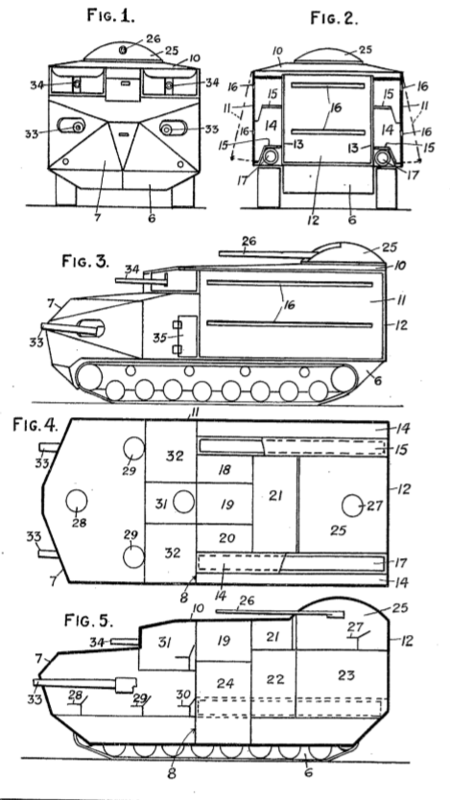 In 1940 and 1941, Colonel Chrobok of the Polish Free Army, Rothsay, Scotland submitted two designs for a tank/APC hybrid vehicle. 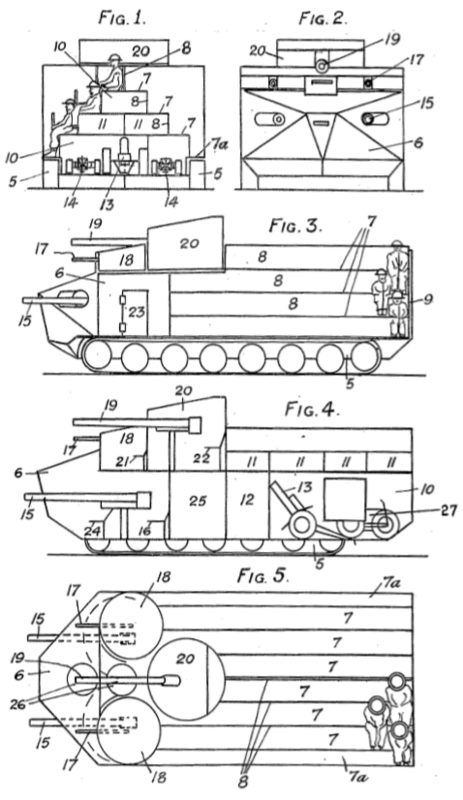 Chrobok’s first design was submitted in December 1940 while residing at the Polish Army camp in Rothesay, and titled ‘Improvements Relating to Automobile Gun-Carriages.’ The object of the design was to provide heavy and light ordnance in the tank along with a contingent of foot troops and other portable equipment such as light field guns all in one package. The front of this first design would concentrate its armament with a wide array of guns consisting of heavy armor piercing guns, heavy machine guns, flame throwing devices and anti aircraft guns as thought fit. The entire vehicle was to be armor plated, with special care being given to the crew cabin. The rear troop area of the vehicle was specified to have armored sides and, depending on the requirement, would have either a waterproof fabric cover or an armored roof. Inside the rear troop compartment were a series of stepped bench-seats arranged longitudinally for troops with a storage area underneath for equipment. The whole area was accessed through a large rear hatch which could hinge either downwards or outwards. The side walls were also intended to open in order to facilitate loading or offloading as the vehicle was also intended to move supplies and the wounded on stretchers. 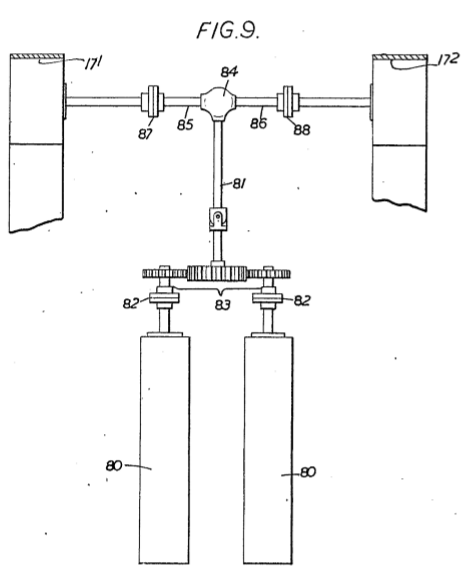 The complete specification for this patent application was complete by the 27th December 1941 and it was accepted on the 6th July 1942 under Patent number GB 546,287(A). In January 1941, Colonel Chrobok submitted a second and improved variation of his first design, this time titled ‘An Improved Armoured Gun Carriage.’ The most substantial change brought by this improved design was the addition of a small round turret at the rear of the machine, which was to serve as an anti-aircraft gun. A less obvious difference was the addition of two parallel longitudinal firing ports on each side of the troop compartment, permitting the troops to fire from within. Colonel Chrobok’s fortunes did not favor his designs and at some point he left the Polish Army camp by February 1943 and was giving his home address as Du Cane Court, Baltham, London. From here, Colonel Chrobok’s inventiveness continued with a design for fire fighting apparatus in October 1942 and an even more impressive and substantial ‘tank’ in February 1943. 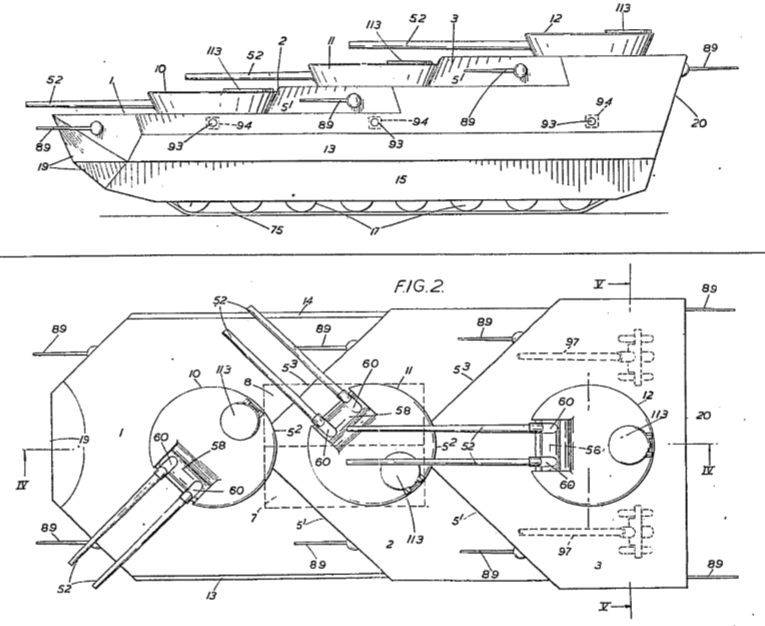 This new tank design was intended to fulfill offensive and defensive roles and equipped with, according to Chrobok, “very powerful offensive armament.” With a similar frontal aspect to the previous designs, this design specified that the cylindrical gun turrets (one or more) would be sunk into the body and have a diameter of approximately ⅓ of the overall vehicle width. 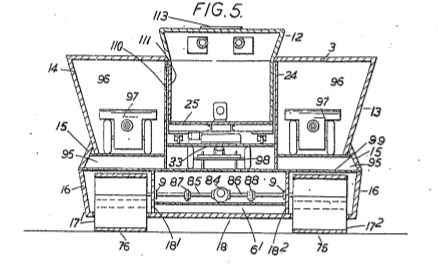 Specifically, there would be an overlap on the side walls in order to provide buoyancy and the large amphibious design would be propelled in water by its tracks. Side and top view of Colonel Chrobok’s 1943 ‘Improved Armoured Gun Carriage’The turrets were arranged so that the hull was stepped, allowing each of the three steps to fire over the other. Each turret was to be equipped with a pair of guns mounted in fixed cradles and elevated or depressed by means of an electric motor. Other armament was to consist of heavy and light machine guns with six of the heavy machine guns located in the angled side walls of each ‘step’ and two light machine guns mounted in the rear of the machine. All machine guns to be held in ball joints for “universal movement.” The “very powerful offensive armament” called for 3.5m long 40-60 mm caliber autoloading guns in the front and central turrets and a 4.5m long 40-60 mm caliber autoloading gun in the rear turret. There was also to be auxiliary armament of hydrogen gas powered flamethrowers mounted in the side walls and a “mine-thrower” in the floor. Each turret was to be equipped with a crew of two and an observer on each deck, one of whom doubled as the tank commander. They were also to be fitted with an electrically operated fan for ventilation. 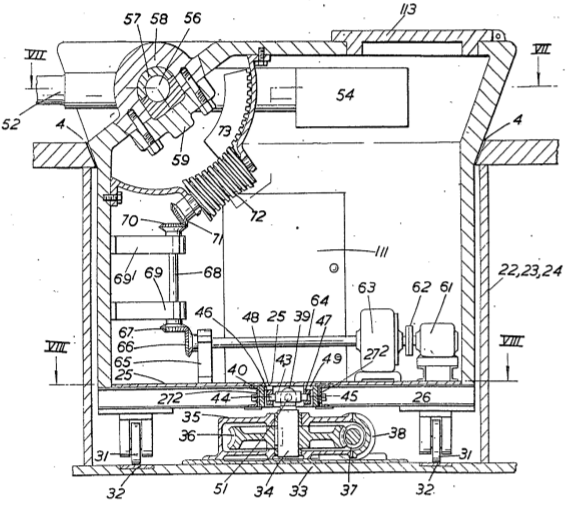 Steering was to be by selective track drive with each track speed being varied independently and allowing the tank to turn. Fuel would be carried underneath the fighting compartment along the bottom of the tank under the engine compartment which was to house more than one engine. Proposed automotive layout of engines driving the tracks from a twin engine design. The armor of the vehicle was to be welded and make use of the angular layout to deflect enemy fire and in keeping with the earlier designs, space was allocated for troops, 75mm field guns and stores as required. This final design by Colonel Chrobok didn’t progress past this stage but was approved on the 10th December 1943, but subsequently went nowhere. 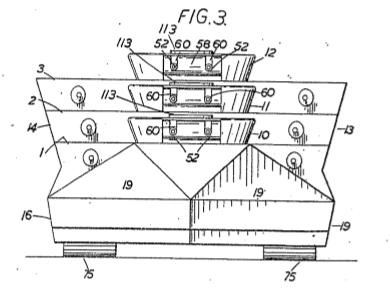 These designs were uncovered by the author as patent archives, previously lost and forgotten. Despite the obvious limitations of the designs they are of historic value as these three vehicle designs were submitted at a time when Poland was being occupied by German forces. Little is known of Colonel Chrobok himself although there is a Wikipedia page for someone likely to be Chrobok, but has not been verified. Colonel Chrobok’s designs were certainly interesting, combining many different ideas but were unworkable. Too large, too many guns and turrets, a nightmare to command and like many projects which try to do everything perfectly, they manage to do no one thing well. They were very complicated ideas at a time when Poland was in German hands and British industry was struggling to produce it’s own designs. These ideas were complicated, and the financial and human-time costs of developing these into working vehicles was simply not available. It is not known if he ever submitted these designs for official consideration but if he did they did not get very far in the evaluation process. None-the-less his motives were noble, his country was occupied and the need for effective tanks was great. Whoever Colonel Pawel Chrobok was, his designs were both interesting and odd in equal measure and help fill in a black hole in Polish tank history even if now over 70 years later they appear to be outdated and unworkable concepts. The Patent GB562003(A) – 1942 is not Related to Armored Gun Carriages, it’s improved fire extinguisher. GB546287 filed 1940, GB546349 filed 1941, GB557908 filed 1943. The dates I have put are correct as your links show. The extinguisher patent has his home address which is how we know he wasn’t living in Scotland at the time. That is why it is referenced.